What’s the story: When the CEO of a major New York finance company flees to a mysterious Swiss health spa, upcoming employee Lockhart is sent to retrieve him. But, he soon realises unhealthy happenings are occurring. What’s the verdict: Make time to spend a penny before watching Gore Verbinski’s wannabe horror epic. Water flows, drips, gushes and is gulped during the undisciplined 146-minute running time, meaning you are likely to be dashing for the porcelain throne come the closing credits. Closing credits which arrive, if memory serves, after roughly thirty-nine false endings. 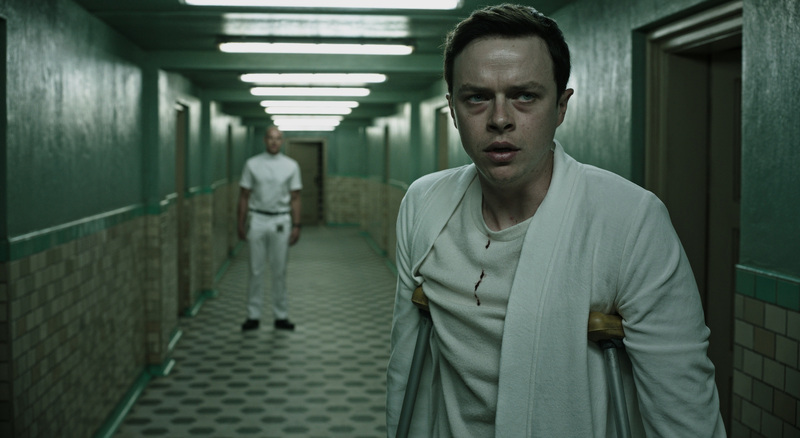 Bluntly put, A Cure for Wellness is a big, slippery, self-indulgent mess. Made more disappointing by an opening half hour suggesting Verbinski’s follow-up to the underrated The Lone Ranger might be something genuinely intriguing and unusual. Venture capitalist scumbag Lockhart (DeHaan) is dispatched to an exclusive health spa in Switzerland to retrieve his company’s CEO Pembroke (Harry Groener), whose sudden departure and seemingly crazed farewell note threaten an important merger. Lockhart finds Pembroke quickly, but after enduring an admittedly well-executed car crash discovers leaving the resort with his company’s big cheese is more difficult than he first imagined. Something odd is happening and it’s not just the excessive hydrotherapy with which the aged elite are obsessed. Note to Verbinski and Lone Ranger screenwriter Justin Haythe: better to have one idea worked into a successful whole than wrestle with multiple musings and deliver a half-baked malformed mess. On the evidence here the pair intended on a Fight Club style skewering of vacuous office culture and a Cronenbergian dissection of self-improvement obsessions of the obscenely well-heeled. But, Verbinski does not have the discipline and rigour of Davids Fincher and Cronenberg. His movie is crammed with gothic trappings, tasteless Nazi doctor undertones, boil-in-the-bag weirdness, unearned moments of graphic violence and laughable eel-based kinkiness. Worse still are the final twenty minutes when the director tries to make sense of it all. Outlandish plot twists pour over each other and none of it holds water. What fun is to be had comes in counting how many movies he liberally lifts from. We noted Fight Club, A Dangerous Method, Apocalypse Now, The Road to Welville, The Shining, Shutter Island, Marathon Man, Hostel and Crimson Peak! 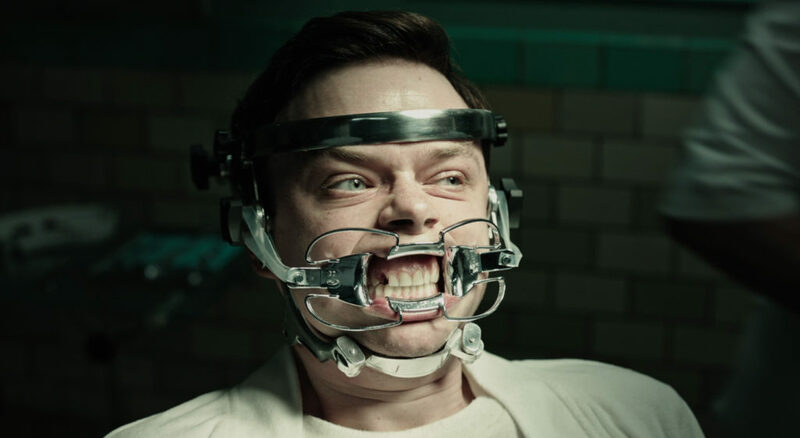 Yet, what A Cure for Wellness echoes most is Zack Snyder’s Sucker Punch. Both boast several arresting visuals, suffer acute plot and characterisation ADD, waste an interesting cast and l-o-o-o-o-o-o-o-o-ng outstay their welcome. DeHaan dives into what seems to be an attention-grabbing lead role, complete with tragic back story. He gamely sports a leg cast for most the movie, but his best efforts are sunk by a script with water on the brain. Jason Isaacs is better than his material and throughout seems to be concealing a smirk of disbelief that he’s being paid for this nonsense. After the bomb that was The Lone Ranger, many wondered if Gore Verbinski would direct another movie. After watching A Cure for Wellness, most audiences will not care if he now quietly slips below the surface.